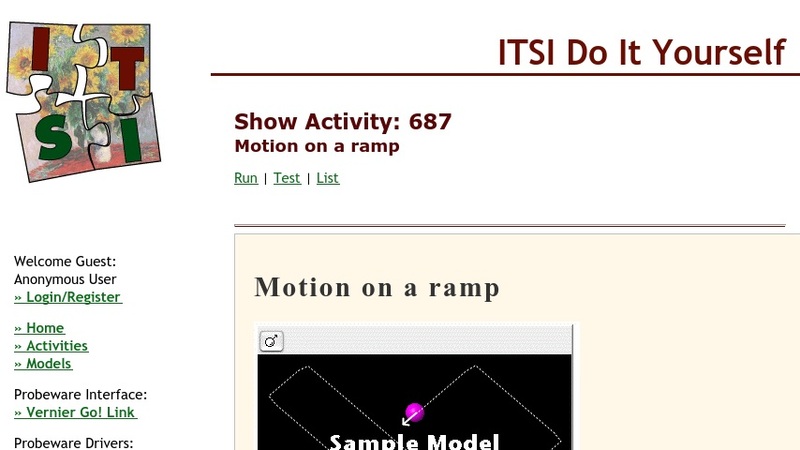 This activity explores the relationship between graphs of Distance vs. Time and Velocity vs. Time by blending a motion sensor lab with student-generated digital graphs. First, learners use the online graph sketching tool to predict graphs of both distance and velocity for a toy car being pushed up a ramp and allowed to coast back down. Next, they use a motion sensor to collect data on a real toy being pushed up a ramp. Finally, they analyze differences in slope between their original predictions and the actual data from the motion sensor. This item is part of the Concord Consortium, a nonprofit research and development organization dedicated to transforming education through technology. The Concord Consortium develops digital learning innovations for science, mathematics, and engineering. By the end of grade 8, read and comprehend science/technical texts in the grades 6—8 text complexity band independently and proficiently.